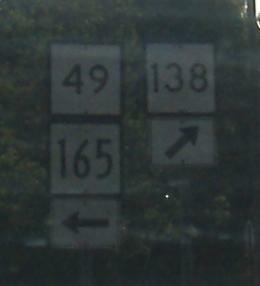 CT 138 continues beyond this intersection, but there's no through movement. To get around that, traffic has to start turning left, then whip around dramatically to the right and head downhill. 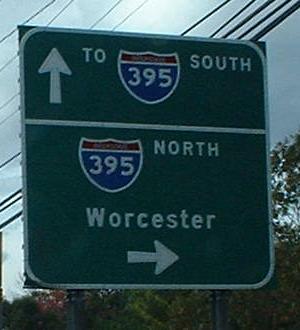 It's only slightly easier in the EB direction where the acute left turn has an extra 24' to play with (12' each for the CT 169 SB and CT 138 WB lanes on the inside of the turn). Not recommended for... anyone, really. 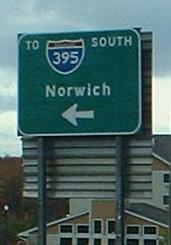 Head south and U-turn if you must. 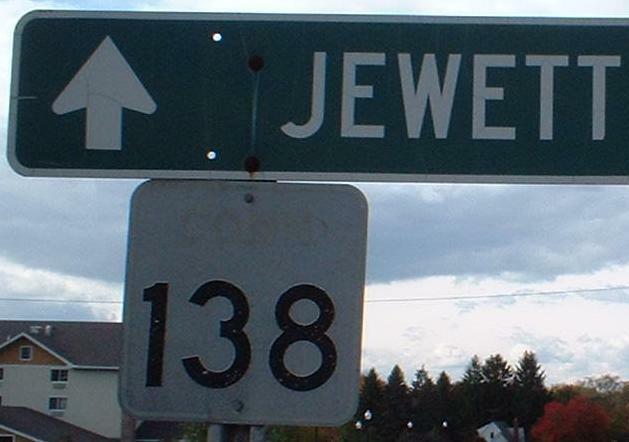 Just go a few feet past the second sign above and you come to this 1950's shield, entering Jewett City. 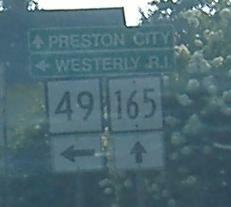 The ghost of "CONN." lives above the number. 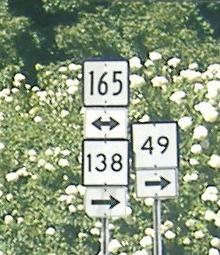 CT 49 NB at CT 165 for a tiny duplex, and then both at CT 138 for a slightly longer triplex, in Voluntown. All of the routes will break up again within a mile. 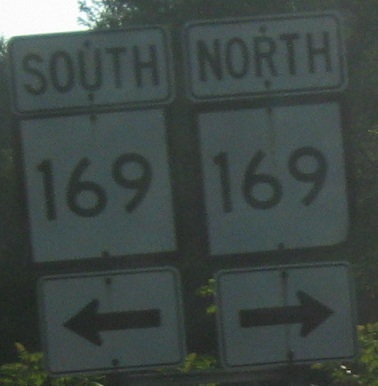 More old shields of different-sized numerals, same two intersections but westbound.